“The Black Pearl”: Big TV 02 features grey tinted lenses, available with or without polarization. The frame is our super-popular matte sand tortoise acetate, and our ultra-luxe new black mother of pearl side inlays complete this knockout look. Big, Bold: We set out to create the perfect oversized frame using only the finest materials and best craftsmanship. Each frame is meticulously handmade in Japan and features high-quality shatterproof lenses with 100% UV protection. 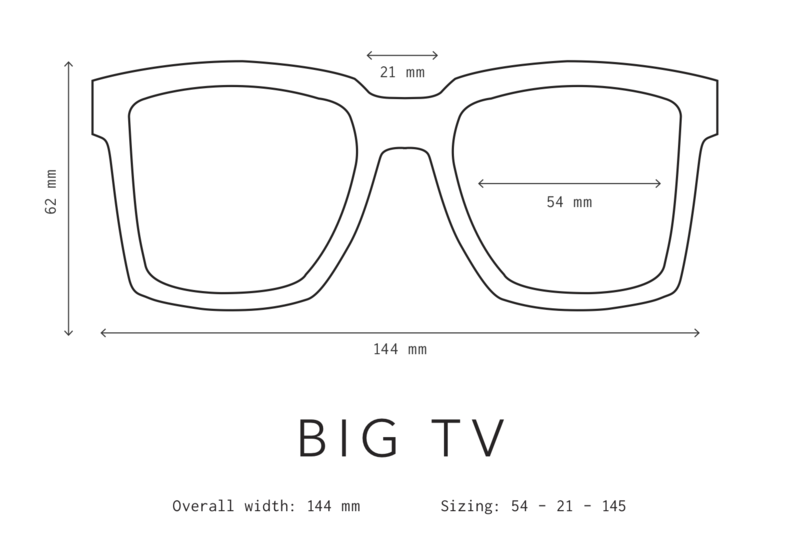 The Big TV shape was designed to be comfortable and flattering on all face shapes. Its super-durable construction and smooth, high-quality hinges ensure these will be your favorite shades for years to come. Inspired by the entertainment industry and our neighbors in Southern California, Big TV celebrates the history of television. Angular and edgy, Big TV is oversized as only Westward Leaning could do it. You’ll feel like a celebrity stepping out in these, and while they may be perfect for hiding your face, the bold design ensures you won’t go unnoticed.